Often, when I'm reviewing a manuscript or reading a paper, I first like to familiarize myself with the general topics and themes discussed in it, before diving deeper to assess and analyze the text. For this purpose, I find that "listening to the text” is highly beneficial because it involves less friction compared to having to sit down and prepare myself to read a manuscript. Additionally, I can listen while I'm at the gym, or while commuting, at the coffee shop, etc. Get Instapaper: Instapaper is a free read-later app that is handy for several reasons. Essentially, it strips the clutter from any webpage article and stores a clean, ad-less, plain-text version for you to read, accessible on any platform. You can pay for premium options, but both free and pro versions have the basic "text to speech" functionality, where your article is read aloud to you. Email the text to Instapaper: Each Instapaper user gets their own mail-to-instapaper address. Now, all you need to do is paste the manuscript text into your composer and send it off to Instapaper. 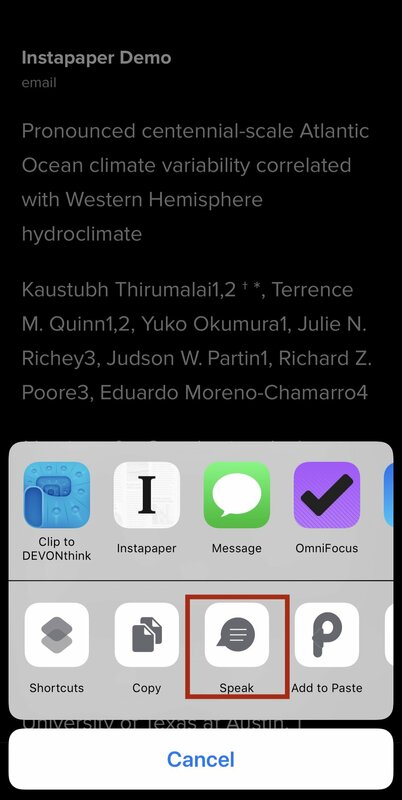 Get Siri (or the built-in Instabot) to read your paper! 1. Crop line numbers out from your manuscript. There are other apps out there (like Voice Dream Reader — which I’ve heard good things about) that can convert text to speech. Although, my limited experience with many common apps has not been… up to par. The iPhone itself has an “accessibility” option where text on the screen can be read out loud, but this feature doesn’t work when the phone is locked and is not convenient. For me, Instapaper is a simple, minimalistic app that excels at what it does. 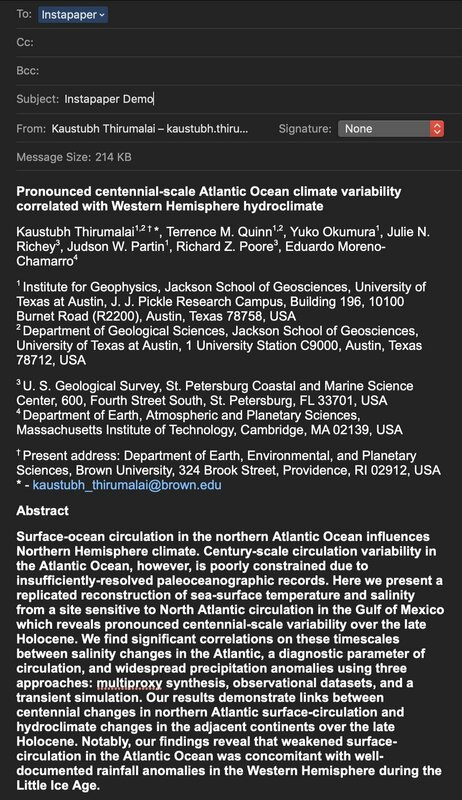 Its email feature is very convenient, and with the workflow above, I find it to be the best way to “listen” to papers.